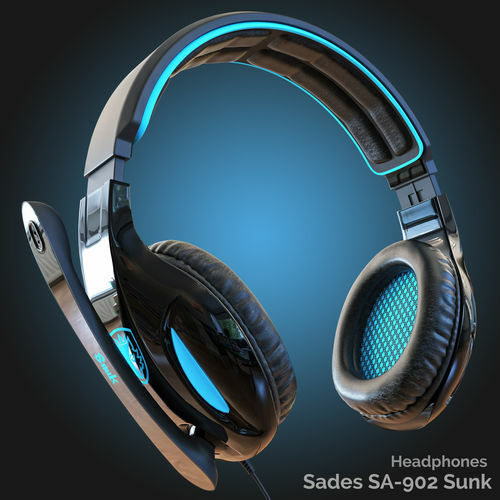 This Headphones is a high end, photorealistic 3D model, that is created to help you add the realism to your project.The model is suitable for any visual production - broadcast, high-res film close-ups, advertising, games, design visualization, forensic presentation, etc. -This model is accurately sized to match the real object. -Objects are grouped and named according to their real purpose, allowing the model to be rigged and animated easily. -Clean and optimized topology is used for maximum polygon efficiency. -Model is fully sub-dividable to allow Turbosmooth Iterations to increase mesh smoothness if needed. -All textures and materials are tailored and applied for high quality render results. -All objects have fully unwrapped UVs. -No extra plugins are needed for this model. -Lights and cameras are not included in the scenes.